Whether you left the headlights on, have a parasitic drain on your battery, or your battery has abruptly gone bad, it is important to know how to get your car going again. 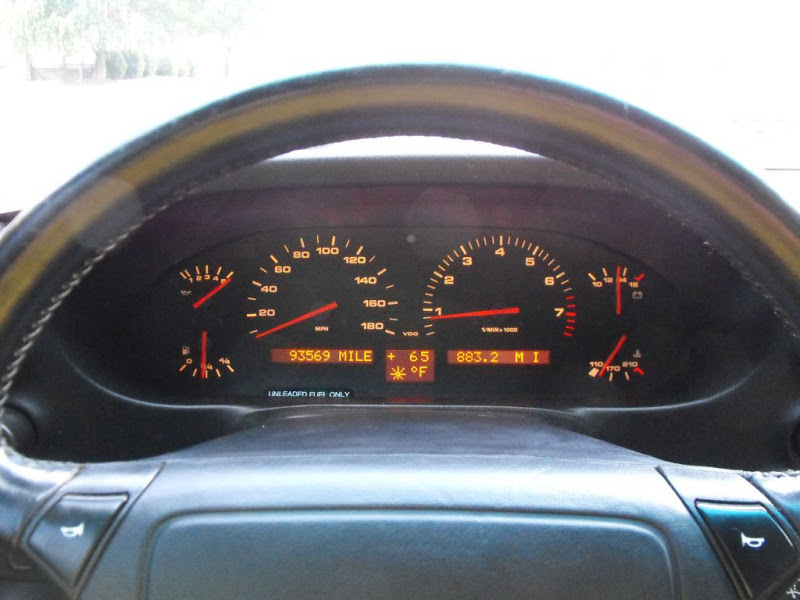 The Porsche 928 models have their fare share of electrical components and feature a fairly complex electrical system. 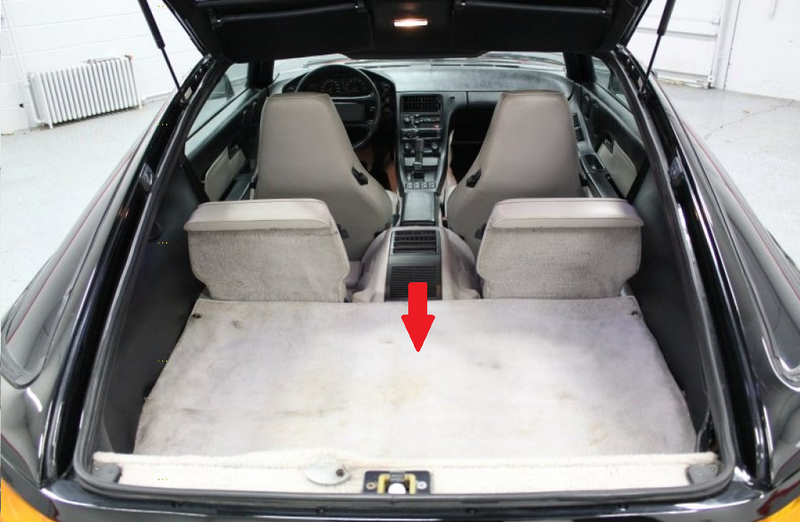 In turn, many 928 owners find that their interior lights can often be left on, or they have some sort of draw on the battery that can drain it to the point where the car does not have enough juice to crank. Similarly, if the battery voltage is too low, insufficient power supply to the DME (computer that controls engine functions) will not allow the car to start. If you end up in a situation where your battery is dead, follow these instructions to get your car going again. 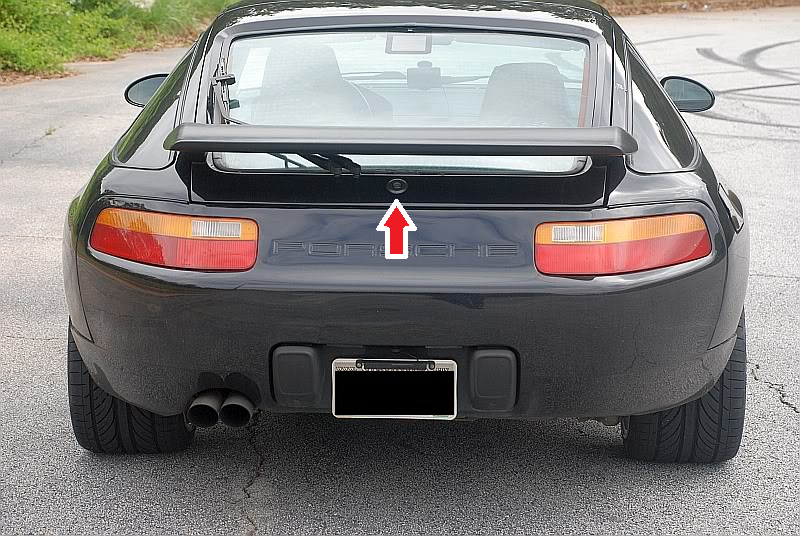 The Porsche 928 has an electrical switch to open the rear hatch. Unfortunately, if the battery is dead, this switch will not work and you must use your key to open the hatch. Figure 1. Use key to open hatch. 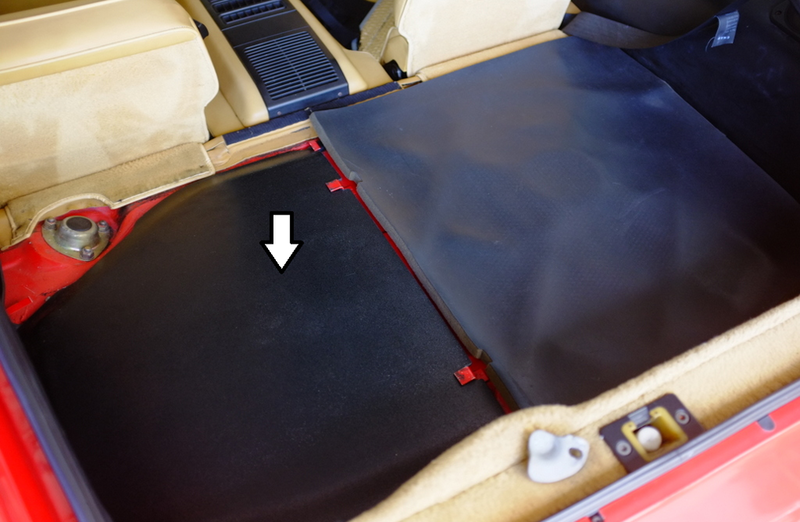 With the hatch open, remove the rear carpeting. Underneath is a spare tire cover that also needs to be removed. Figure 2. Rear carpet cover removal. Figure 3. Spare tire cover removal. You should now see the spare tire and tire iron. Remove the spare tire hold down and remove the spare tire from the car. Figure 4. Spare tire removal. 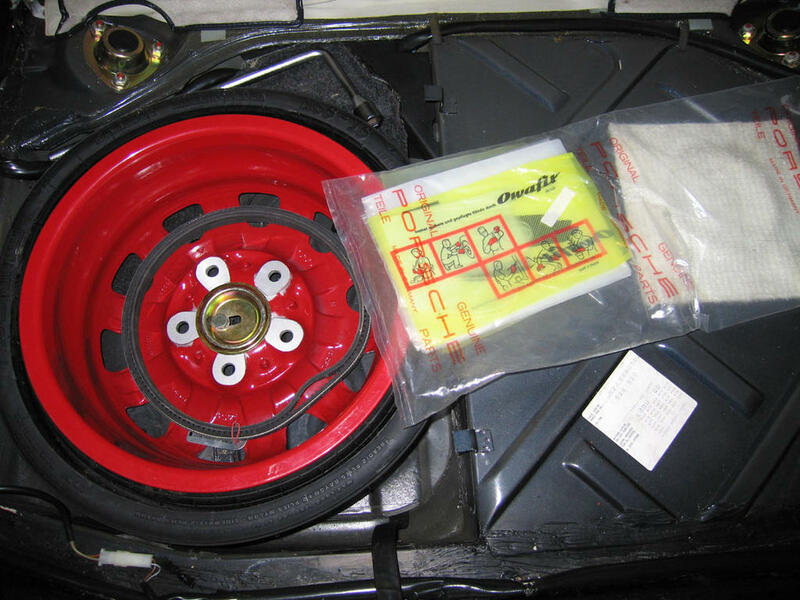 With the spare tire removed, you now have access to the battery tray. Open the trap door to gain access to the battery. Figure 5. Trap door opened with battery inside. Hook up the jumper cable leads. First, connect the positive jumper lead (red cable) to the positive terminal on the battery (+). Next, hook the negative jumper lead (black cable) to either the chassis or negative terminal (-) on the battery. 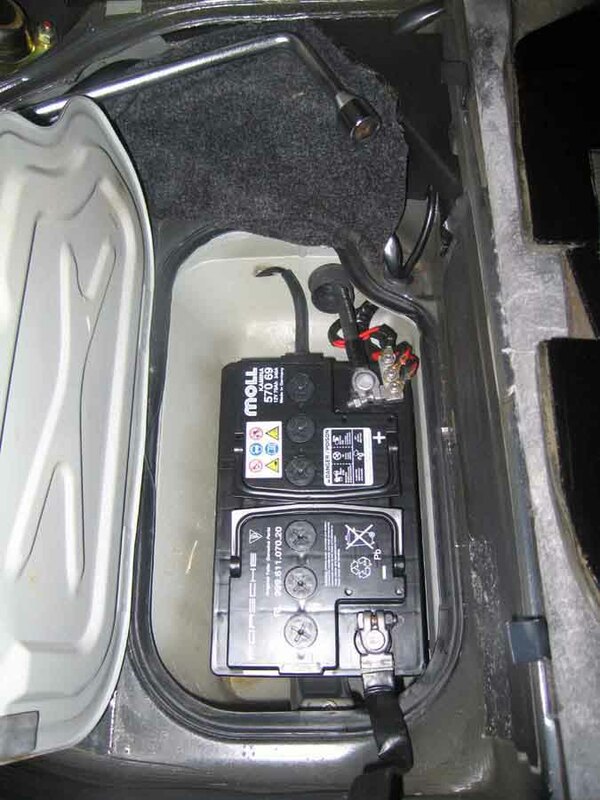 Note: It is highly recommended that a battery booster pack or quality battery charger be used to jump-start the car. The 928 has expensive electronics that can be damaged from voltage spikes if attempting to jump the battery from another vehicle. Figure 6. Connecting jumper leads. You can now start the car. 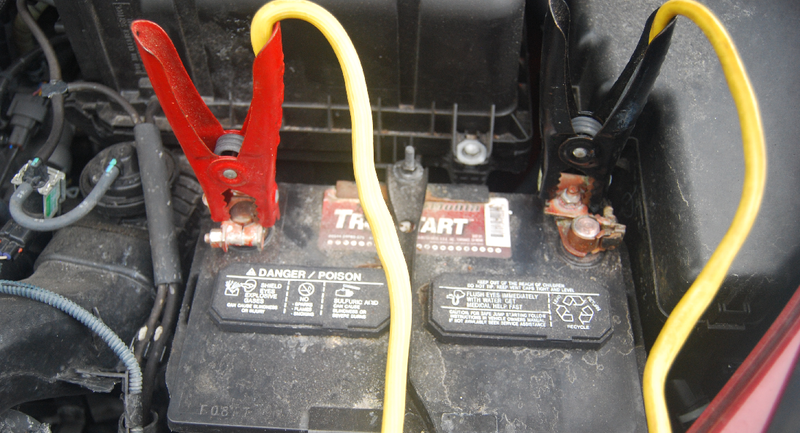 Once the car is running, disconnect the jumper leads from the battery, making sure to disconnect the negative lead (black cable) first. Re-install the spare tire, tire cover, and carpeting before driving away. Leave the car running for a while to let the battery charge. Don't turn it off soon after you have jumped it, or else you'll find yourself back at Step 1. Figure 7. Proper voltage reading on gauge.